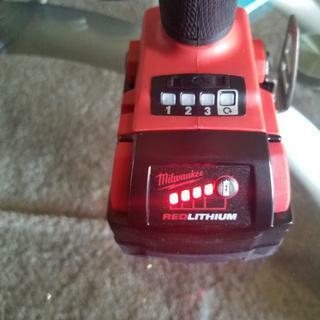 The M18 FUEL 18V Cordless Lithium-Ion 3/8 in. Compact Impact Wrench with Friction Ring (Bare Tool) is the most powerful tool in its class by delivering up to 210 ft-lbs. of torque in a compact design. The POWERSTATE Brushless Motor not only provides unmatched power, but also provides greater efficiency, delivering up to 20% more run-time than the leading competitors. REDLINK PLUS Intelligence is the most advanced electronic system on the market, preventing damage to the tool and battery caused by overloading or overheating. REDLITHIUM Batteries (sold separately) deliver more work per charge and more work over the life of the pack than competitive batteries on the market. The 4-Mode DRIVE CONTROL provides greater control over output speed and power for greater versatility by delivering 0 - 900 RPM in Mode 1, 0 - 1,600 RPM in Mode 2, and 0 - 2,500 RPM in Mode 3. Auto Shut-Off Mode intelligently detects when the tool has Impacted on a fastener for one second and automatically shuts the tool down, reducing the likelihood of overdriving and damaging materials. I am a John Deere service tech and I own two of these. I love these guns they have plenty of power and are really tough. Mine are in terrible condition but they work fine and I use them every single day. i use it everyday in our auto repair shop, this gun blows the doors off of the snap on guns!!! also have a 1/2 impact gun that also is far better than snap on. a worth while purchase!!! Holds up on the farm. We have several of these wrenches on the job, and they get used ALOT. This wrench has lots of power in a relatively very small tool. It makes jobs much easier and faster. They are extremely durable. Again very happy. Great company. 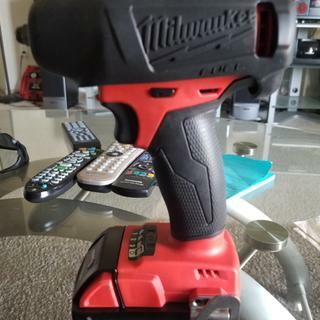 Moved from Snap On to Milwaukee. It doesn't have quite as much power as the Snap On, but it IS significantly lighter. It's plenty powerful for 3/8". We'll see how it holds up. A ton of power from a small impact saves me from lugging around my big impact. Very nice tool. It does everything as specified in the data sheet. If you don't have one, bit one ASAP. 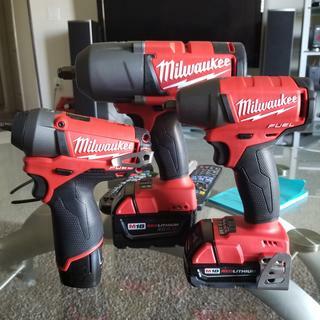 New to the Milwaukee family, I sold off my other power tools. 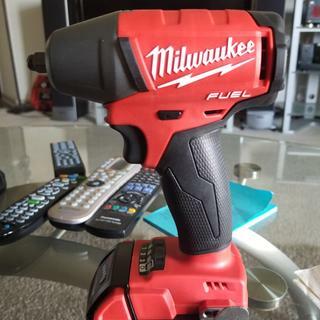 Main reason Milwaukee power tools are more powerful the warranty is better and they have the largest line of cordless tools on the market. The 3/8 (2754) impact has variable speed, compact and brushless motor. You cant go wrong with this one. Does this include a case? BEST ANSWER: The 2754-20 does not come with a case. What's the difference between friction ring and pin detent? What’s difference between 2754-20 & 2658-20?